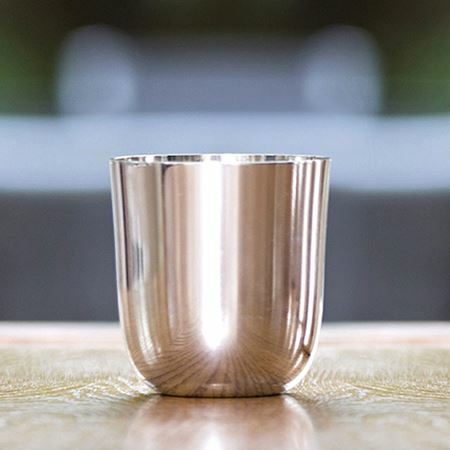 We are proud to offer an excellent range of highballs and tumblers in a variety of unique and elegant designs. Many of our highballs and tumblers can be personalised with dates and initials making for wonderful gifts too. This Labrador water jug and tumbler set can be personalised to create a truly special gift. We can etch the jug and tumblers with your own choice of dog and a name to add a personal touch. Please contact sales@inkerman.co.uk or call on 01892 752211 for more details. 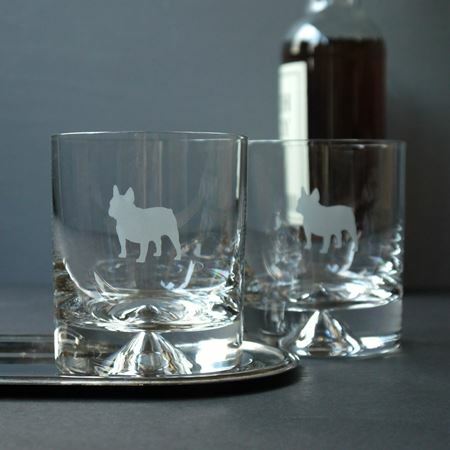 These French Bulldog tumblers can be personalised to create a truly special gift. 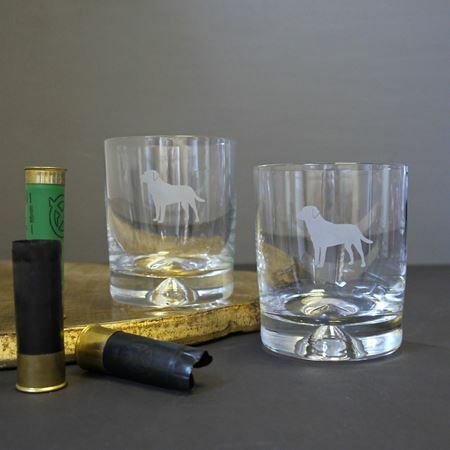 We can etch the tumblers with your own choice of dog and a name to add a personal touch. 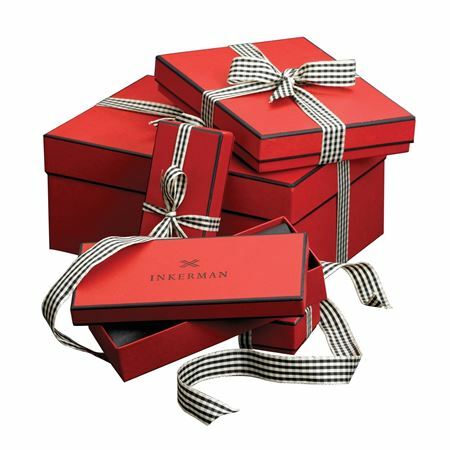 Please contact sales@inkerman.co.uk or call on 01892 752211 for more details. 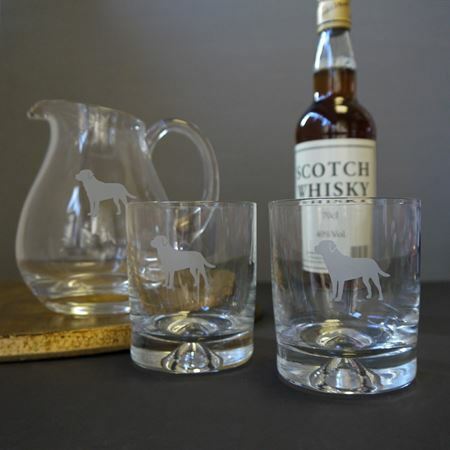 A pair of classic Inkerman highballs etched with the Tusk elephant design around the glass. Give as a pair to your elephant loving friends and add their initial or use for a commemorative piece at a corporate event by adding a logo. Contact sales@inkerman.co.uk for details and costs of customising the glasses with logos or initials. A percentage of sales goes to Tusk Trust charity. 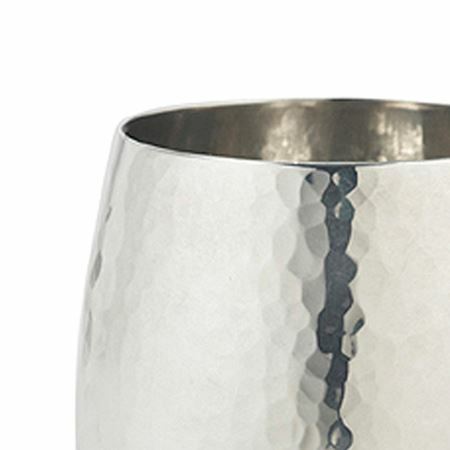 Beautifully crafted pewter tumbler with smooth finish, standing 11cm high & 7cm wide. Looks stunning plain and even better engraved with a large single initial. If you are interested in an engraved logo or a long message please contact our sales team on 01892 752211 or email sales@inkerman.co.uk We recommend that these beakers are hand washed rather than cleaned in a dishwasher. 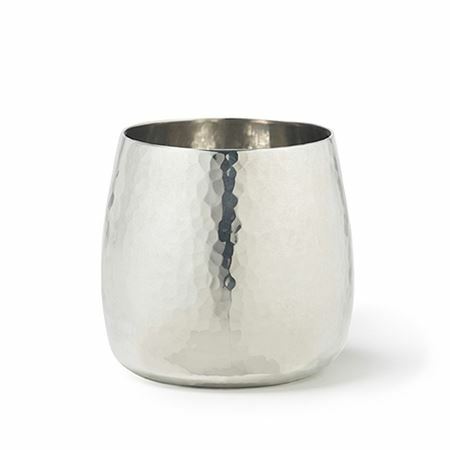 Beautifully crafted pewter tumbler with smooth finish, standing 11cm high. Looks stunning engraved with signatures, logos or message. If you are interested in an engraved logo, please contact our sales team on 01892 752211 or email sales@inkerman.co.uk We recommend that these beakers are hand washed rather than cleaned in a dishwasher. 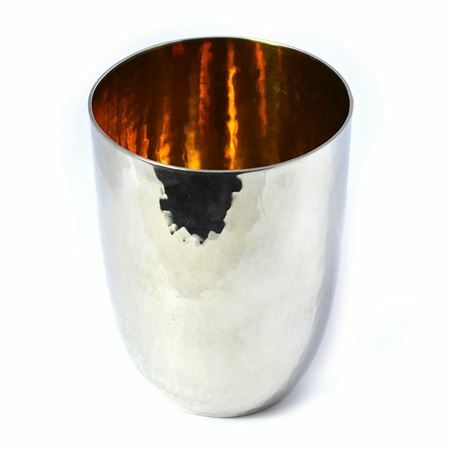 Hammered pewter tumbler with a gilt interior. The tumbler can be personalised with crests, company logo's, dates or initials. Available in sterling silver with gilt interior upon request. Please contact sales@inkerman.co.uk if you are interested in an engraved crest or logo. 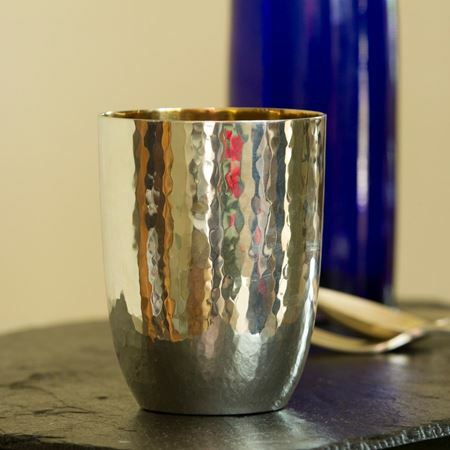 British, polished pewter water tumblers with a hand hammered finish, standing 7.5cm high. We recommend that these beakers are hand washed rather than cleaned in a dishwasher. 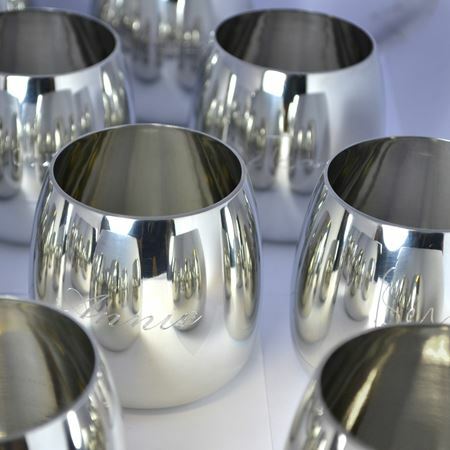 Polished Pewter water tumblers in a smooth finish. They look stunning with a large single engraved initial or logo. Contact sales@inkerman.co.uk for crest and logo orders. 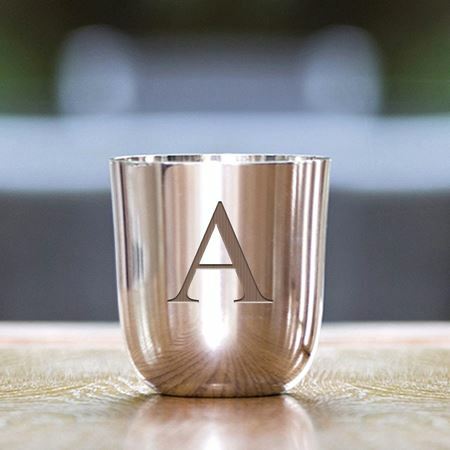 We are excited to bring you a fantastic variety of high balls and tumblers which make thoughtful and memorable gifts. 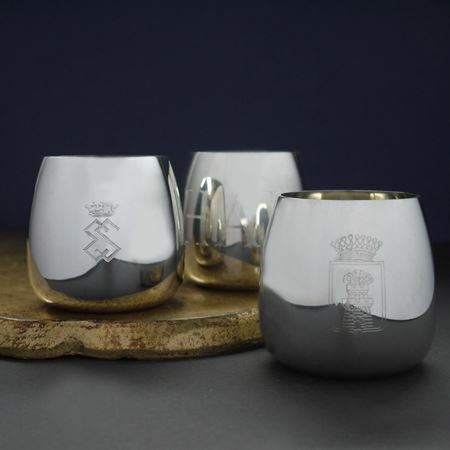 You can choose from simple but stunning plain crystal, or pick from a range of intricately carved etchings to suit the gentleman’s interests and tastes. 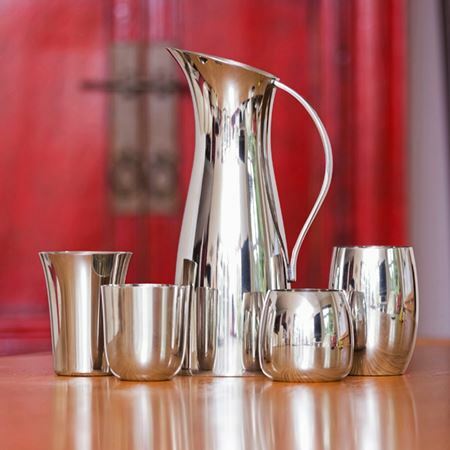 Alternatively, select from our range of pewter tumblers which look fantastic in any stylish home.